My good friend and DM for the long-running Imperial Destiny Campaign definitely has artistic talent (if not enough time to pursue it). Please take a look at his favorite pencil drawing and enjoy. 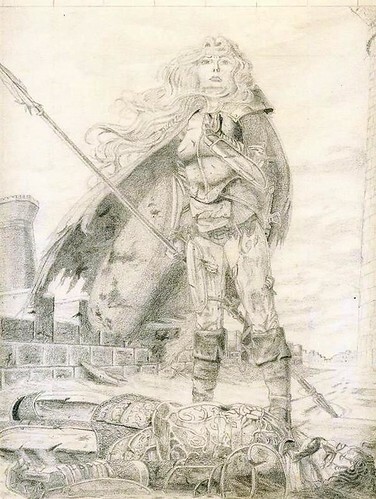 Hmmm nice copy, but I prefer the original as painted by Larry Elmore. but then I like full color artwork better than lineart. I’m sure the Wraith will be appreciative of your comments…and your appreciation of the wonderful paintings of Larry Elmore (of who’s work he’s a fan).